It's time for another Color Challenge. This month's challenge features Berrylicious, Grout Grey, Red Hot, and Sour Apple. Such a fun combination for the upcoming holiday season. I used the gorgeous new Quilt Square Frame Cover-Up Die-namics as the centrepiece of this card. This die is so much fun to work with! I used the die on the four different colors of card stock and then I went to work making a pattern. I sponged each piece with Premium Dye Ink. In the middle of the square I added a sweet heart from the new Blueprints 20 Die-namics. Once again, I used the sentiments from the Cozy Greetings stamp set and the Square Frames Die-namics. Here's a peek at the Color Palette Challenge swatch for the month. 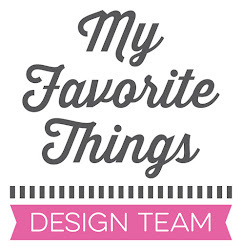 Be sure to check out the MFT Blog to see all the creations the design team and MFT's fabulous customers have created. I'll see you a bit later tonight with day 5 of the countdown. Love the quilt pattern! So cute!